Sober living homes are transitional residences that individuals may move into after completing a substance abuse treatment program and before returning home. Sober living homes can provide a supportive network for those not quite ready to face the stress of everyday life and people who can use more time honing the coping mechanisms, communication, and self-reliance skills taught in rehab. As the National Institute on Drug Abuse (NIDA) reports, the length of time a person spends in substance abuse treatment can directly influence their outcome in recovery. Generally speaking, at least 90 days in treatment is recommended. There is no “magic” number however, as treatment and recovery are highly individual. While one person may be ready to reenter society after three months, another may benefit from a longer stay. The Journal of Psychoactive Drugs reported on a few different types of sober living homes and found that the average stay was between 166 and 254 days. Residence in a sober living home led to fewer problems with alcohol and drugs, lower arrest rates, higher employment rates, and more stable housing arrangements that were maintained as much as a year and a half later. In general, individuals may stay in sober living homes as long as they want to if they continue to follow the house rules. Substance abuse treatment programs may follow a continuum of care that provides for a step-down approach as individuals progress during recovery. Psych Central postulates that a year or more is an ideal length of time to spend in long-term drug treatment. Sober living homes are often the last transition before returning home, and staying in residence for a longer period of time may improve the foundation for long-term recovery. Sober living homes require complete abstinence as a stipulation for remaining a resident. Generally speaking, the longer a person remains abstinent, the lower relapse rates may be. Relapse rates for drug addiction are high, between 40 and 60 percent, NIDA publishes, and sober living homes may help to prevent and minimize relapse with continual peer support and the encouragement to attend 12-Step meetings regularly. These groups also promote complete abstinence. While attending 12-Step meetings may not be mandatory, more than 75 percent of individuals residing in an Oxford House, a specific type of sober living home, were studied and found to attend 12-Step meetings weekly or even more often, the Journal of Psychoactive Drugs publishes. Individuals who remain abstinent for at least a year, according to studies published by Psychology Today, have lower relapse rates than those who don’t. For example, the study found that individuals who were abstinent for less than a year relapsed two-thirds of the time while those who were sober for an entire year did so less than half the time. Individuals who were abstinent for a period of five years remained sober and avoided relapse 85 percent of the time. If an individual leaves a sober living home prior to being ready to do so, they risk relapse and a return to problematic behaviors. 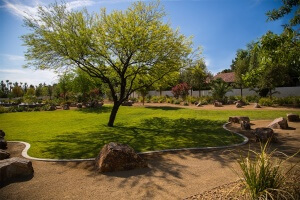 Sober living homes provide a community feel, as residents all strive for the same goals and face many of the same challenges. Residents can rely on each other and learn to become part of a group as well as more self-sufficient. Each sober living home may have its own set of rules, chore expectations, and structure in place. Individuals are expected to help with meals, cleaning, and other household chores. While in a sober living home, individuals may be subject to regular drug tests, which may encourage compliance as well. While residing at a sober living home, individuals may attend regular counseling, therapy, and support group meetings as well as receive care for any co-occurring medical or mental health issues. Generally, these homes are self-pay, although halfway houses are usually federally funded and more structured than other sober living arrangements. The social aspect of sober living homes provides security and structure before returning back to family, work, school, and societal obligations entirely. Individuals may slowly return back to regular life while still residing in a sober living home. They are able to then gradually reintroduce aspects of daily life in an effort to manage potential triggers or stressors along the way.